Wind and water carry our carelessly thrown things even into the Arctic. 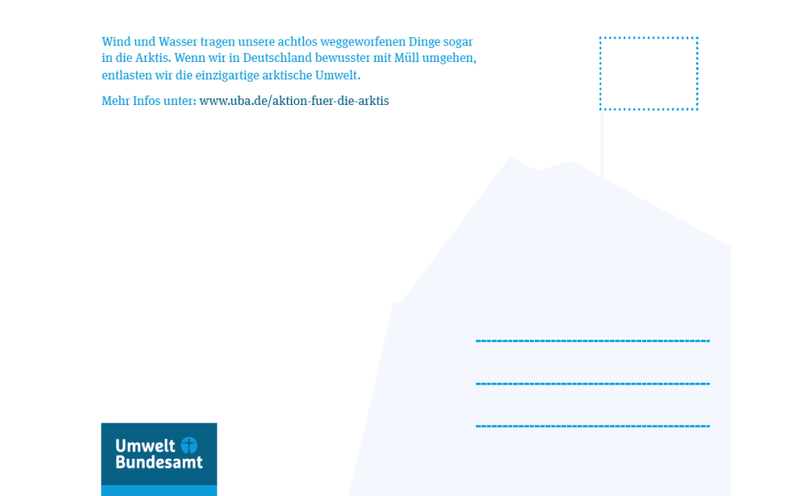 If we handle waste in Germany more consciously, we relieve the unique Arctic environment.This postcard is part of a series of three postcards that provide information on how the daily consumption of energy and raw materials in Germany can affect the Arctic. 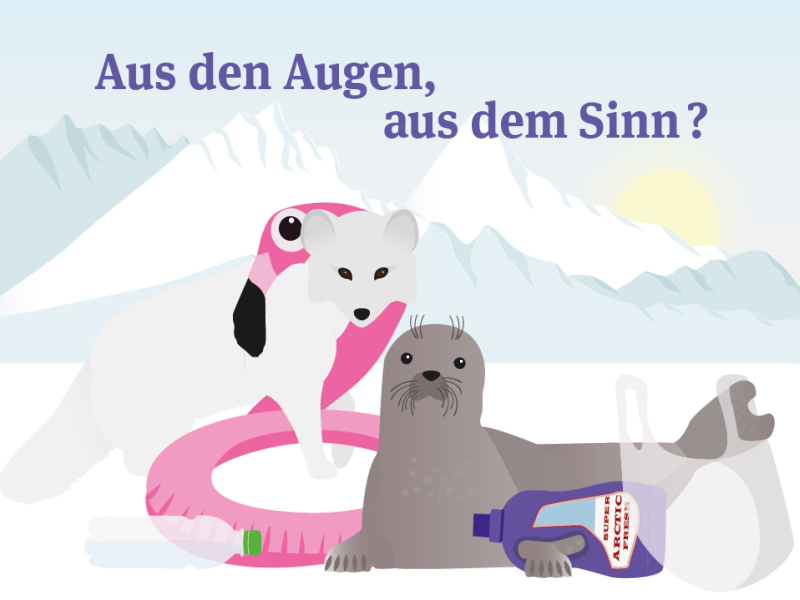 The postcards were developed by Ecologic Institute for the Federal Environment Agency within the project "Environmental Guidelines for a German Arctic Policy". Federal Environment Agency 2018: Aus den Augen, aus dem Sinn? Postcard.